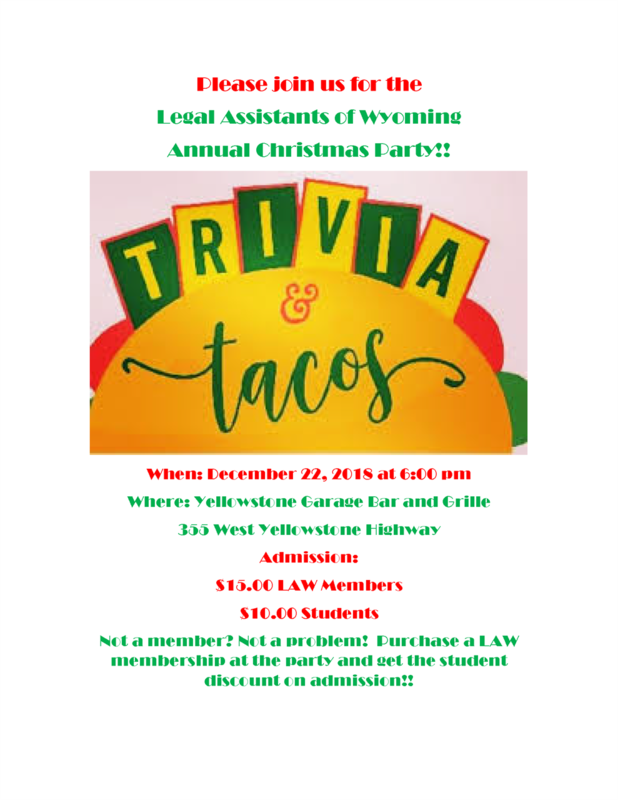 Join us for the Region III Christmas Party at Yellowstone Garage on Saturday, December 22nd starting at 6 PM. Pay at the door. LAW members $15 each, students $10 each. Non-members can join LAW at the party to get a special discount!